From November to February Birdwatching Lisbon hosted several tours in the Tagus and Sado Estuaries introducing these areas and its species to visitors from the US and from several different european countries. Besides the observation of some of the most emblematic species such as the Squacco Heron, Glossy Ibis, Black-shouldered Kite, Bonelli´s Eagle, Little Bustard, Calandra lark, Azured-winged Magpie, Spanish sparrow, amongst many others, there were several unexpected surprises that contributed to increase the success of these tours. Such highlights included for instance the observation of a Marsh Sandpiper at the Tagus Estuary in early November, or the observation of a Yellow-browed Warbler that was spotted at Cape Espichel (near Sado Estuary) in the end of that month. 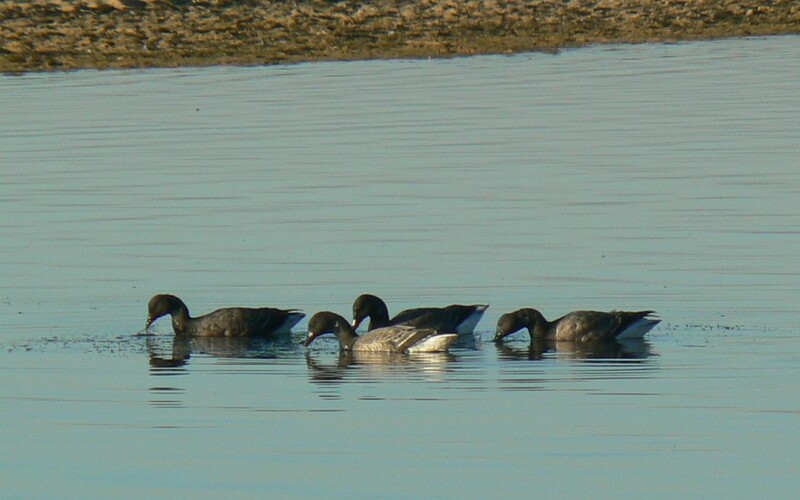 In December/January Portugal suffered an abnormal influx of Brent Geeese and some could be spotted in a wetland relatively near the Sado Estuary in the beggining of January. Almost at the same time a 1st winter Long-tailed Duck and a Female Goldeneye could be seen in different days during Tagus Estuary tours. In February one of the highlights included an amazing observation of a group of ca. 50.000 (!) Black-tailed Godwits feeding in rice field paddies in the Tagus Estuary. Also in February the observation of 2 Great spotted Cuckoos during a Tagus Estuary tour (flying and calling just above our heads), was also a very pleasant surprise. Another Spring is arriving with Booted and Short-toed Eagles, Purple Herons, Bee-eaters, Collared Pratincoles and many more interesting species that can be seen just outside Lisbon (20-30 min. drive from Lisbon)!